Whisk together mayonnaise, sugar, rice milk, lemon juice, vinegar, salt and pepper. 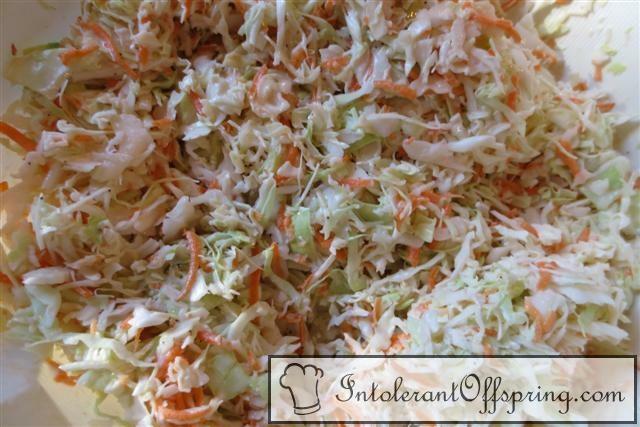 Toss the cabbage, carrots, and onion into the dressing; mix well. Refrigerate for 3-12 hours before serving.